crc corrected. compiled back same as the Original. 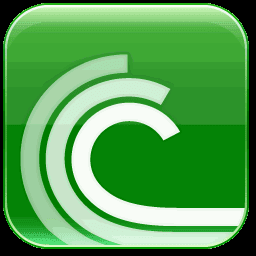 BitTorrent 6 alias µTorrent, the BitTorrent client that is.. Most of the features present in other BitTorrent clients are present in µTorrent, BitTorrent 6 including bandwidth prioritization, scheduling, RSS auto-downloading and Mainline DHT (compatible with BitComet). Additionally, µTorrent supports the Protocol Encryption joint specification (compatible with Azureus 2.4.0.0 and above, BitComet 0.63 and above) and peer exchange. µTorrent (BitTorrent 6) was written with efficiency in mind. Unlike many torrent clients, it does not hog valuable system resources - typically using less than 6MB of memory, allowing you to use the computer as if it weren't there at all. Additionally, the program itself is contained within a single executable less than 220 (550) KB in size. Various icon, toolbar graphic and status icon replacements are available, and creating your own is very simple. µTorrent (BitTorrent 6) also has support for localization, and with a language file present, will automatically switch to your system language. If your language isn't available, you can easily add your own, or edit other existing translations to improve them!